If you love to play CS:GO, you are in for a treat. A major update has been announced for Counter Strike: Global Offensive. The game has become completely free to players as stated by Valve, the publisher of the popular PC action game. It has also said that with Prime Status Subscription there will be special access to exclusive souvenir items, weapon cases and item drops. Also, there is going to be a new battle Royale mode just like in PUBG and Fortnite available on CS:GO. Battle Royale Zone is called the Danger Zone. Here there will be a group of 18 players who will participate in the game. Users can choose their own entry point, team up with other players if they want to and explore the environment. Like other battle Royale zones, this Danger zone environment would also have money, deliveries, equipment etc. With the help of a personal, virtual tablet one can track opponents’ position and find ways of evading the danger zone. Over that, it can also be used to track aerial deliveries. Each and every match will feature weapons which are part of the original CS version. In this new version the way to recover health is the Medi-Shot antidote. This mode in CS:GO can either be played by oneself as a solo mission or getting a group of 2-3 players along. If one plays alone then the total number of players participating in the map will be at 16. In case you opt to bring 2-3 friends to the battle then the total number of players in the map will go up to 18. 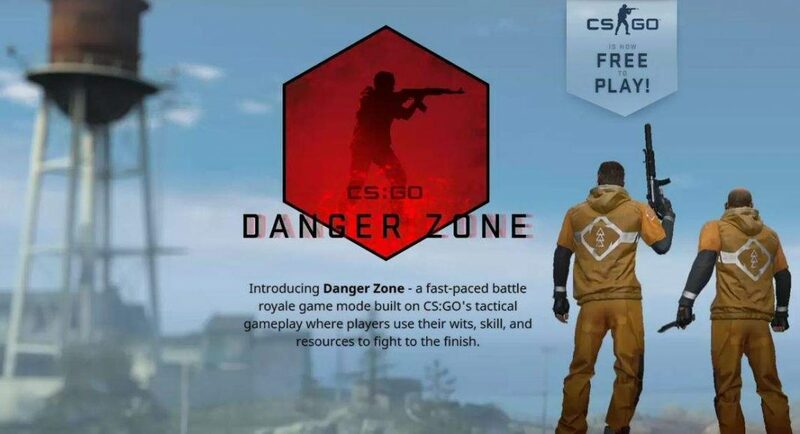 A single Danger Zone game would last 10 minutes. The Prime Status offers access to exclusive items and features to all CS:GO players. For example, only Prime Status members can match with other Prime Status members. The membership can be availed in two ways. Either one has to reach Rank 21 by earning XP and then add eligible phone number to Steam account, or purchase CS:GO Prime Status Upgrade-in-game or through the steam store. Valve has also decided to keep updating the game with the help of the community playing it.